Our devices can produce dozens of large prints in just a matter of minutes at a low cost, allowing you to make changes on demand. With the ability to print onto various types of media, you can use our devices for much more than everyday printing. Water Resistant paper, Poly Banner Materials, Gloss Bond and Adhesive Films; allow you do create your own marketing materials. You can keep track of markups and other changes you make to your documents on our devices. This lets you reduce downtime and avoid costly errors on projects. This applies more so to AEC market software (Blue Beam,) and could be confusing. 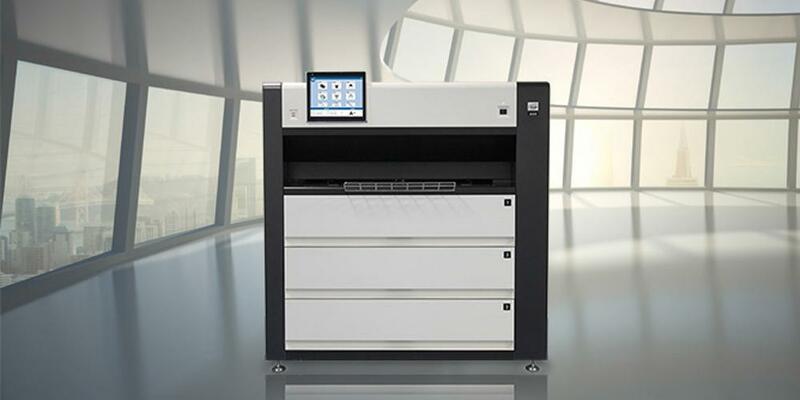 See our Complete Catalog or contact us for more details on our wide format printers.